Anarchism is a very loaded word that conjures specific images in peoples’ minds. It’s difficult to overcome these stereotypes and honestly I don’t discuss it often. We can’t even get Universal Healthcare in this country, how can we expect communalism, mutual aid and consensus-based decision making? I’m a poor anarchist in that I’m not very active politically. I try to live and act in manners that reduce oppression and hierarchy as this is what anarchism means to me and, like veganism, I try to live my life as an example (easier said than done!). This past weekend was the Second Annual Anarchist Bookfair and it was one of the best events like this I’ve been to in a long time. The location could not of been better: Barnsdall Art Park. 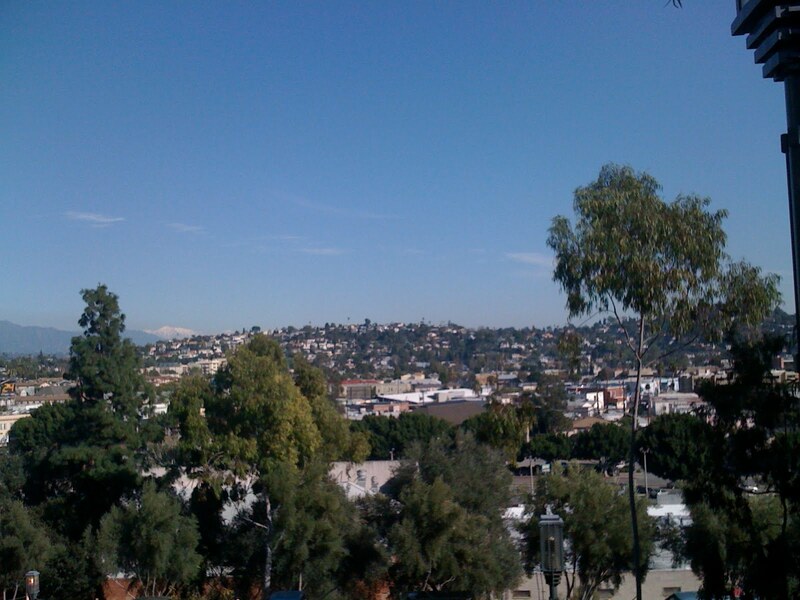 It’s near bus and train lines and easily accessible from Hollywood or downtown. Most importantly it’s freakin beautiful. Trees and open space on the top of a hill with beautiful views in every direction. I gave a workshop on veganism that addressed concerns about veganism/animal rights being an issue for only white affluent folks and otherwise unattainable. My argument is simple: You have to separate the issue from who does it. Animals are caged and killed for human use and this is an issue of oppression. I care about living beings and want to reduce suffering therefore I don’t eat or wear animal products. Do you have to eat at Whole Foods to be vegan? No. In my household rice and beans (dry beans!) is a common meal, as is stir-fry with whatever veggies are in-season and low-cost at the farmers market or local grocer. There are barriers to veganism, but they are overcome with a few resources. This is the focus of my presentation. It was well-received and some good discussions developed. I spent the rest of the afternoon chatting with friends and activists. Hung out with the people at Earth First! and Little Black Cart. Hundreds of people attended and the vibe was great. I credit the hard work of the organizers in reaching a diverse set of folks and not having any punk bands play. The space we occupy and communicate in influences how that communication happens and this space only improved it. Bike parking would have been nice, but you know, we can’t have everything. 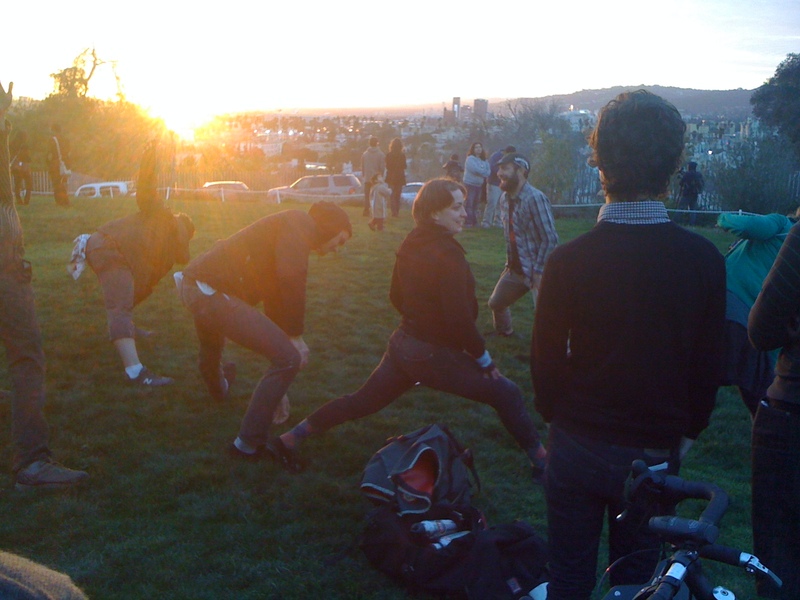 Impromptu yoga during sunset watching. Cliches aplenty. The next event is the Anarchist Cafe on Sunday February 28th at 1pm in DTLA. I’m hosting a workshop specifically on vegan nutrition in the early afternoon. See you there. Matt,I saw your post about the vegan seminar at the bookfair this past weekend. We weren't able to make it, I was still sleeping I think. But I think we'll try to make the next one in February. My wife is trying to go vegan so I'm sure she'd enjoy this. 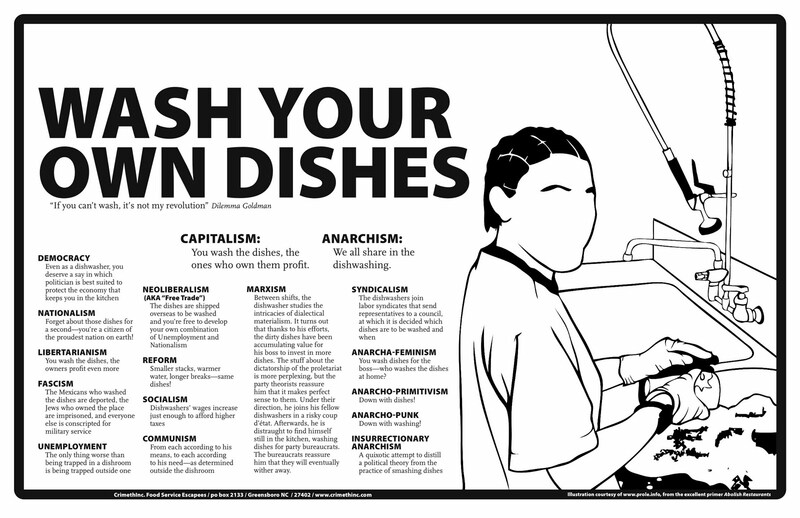 i don't understand the libertarianism dishwashing scenario. I would think it would be a little closer to, worry about your own dishes, if you feel like it, cuz its nobody else's business. Tonight we ate our salad with oranges next to the kale instead of after, and this re-arrangement was YOUR DOING. Information is good, thanks. View was amazing. No bike racks was weird, but we found a handicapped sign and came in the wrong entrance anyhow, wondering why there were no bikes. A really great afternoon, lovely on all counts, though I'm still not sure about slave labor bean-picking/genetically modified seed/clear-cutting/pesticides being any different/worse/better than killing kittens… choice, sort of? …but living in a cave and eating berries sounds super gruesome and totally not OK except the part about killing the tofurkeys and mock ducks with clubs could be fun.